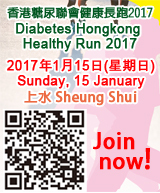 Diabetes Hong Kong Healthy Run 2017 | JustRunLah! *All runners in 5km Open category who have completed the event will be given a large towel on site. *All 10km runners who have completed the event will be given a medal on site.